Julia, the girl we love to hate. Each character in A Voice in the Wind represents a different way of thinking, during Roman times, but also during ours. Marcus was an Epicurean. Eat, drink and be merry, for tomorrow we die! Julia went one step further and was a Hedonist, devoted to pleasure and self-gratification as a way of life, not counting the cost until she thinks it’s too late. Julia was an “it’s all about ME” girl. Sadly, there are many in our culture today who reflect both of these lifestyles, and like, Marcus and Julia, condemn everyone who believes and lives otherwise. Human beings hate easily. Our hearts are evil. And Jesus sees the heart. He knows the reason He made us and what He made us to become. He sees our potential. Love, agape love, is an attribute of God given to us through Christ, our Redeemer, and the indwelling of His Holy Spirit. Julia, selfish, cruel, vicious, was made for a higher purpose. Hence, I wanted Julia to be ushered into Heaven by angels. Yes, it was a last minute decision, but God, in His amazing grace and mercy sees life not as the few temporal years we have on this planet, but as eternity. When Julia dies her story is just beginning. Behind the men who shaped history are the heroes who forever changed it. 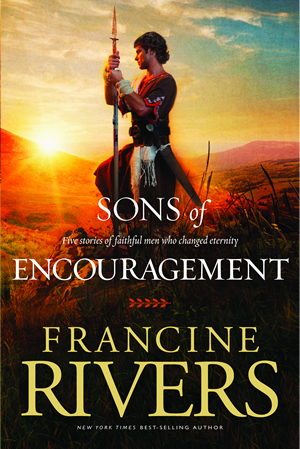 The novellas in the Sons of Encouragement series recount the stories of lesser-known biblical character who made an impact on eternity. 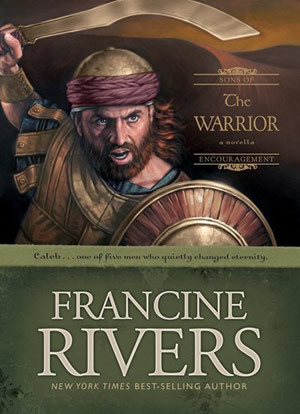 His words stirred mens’ hearts; his passion drove him to God.